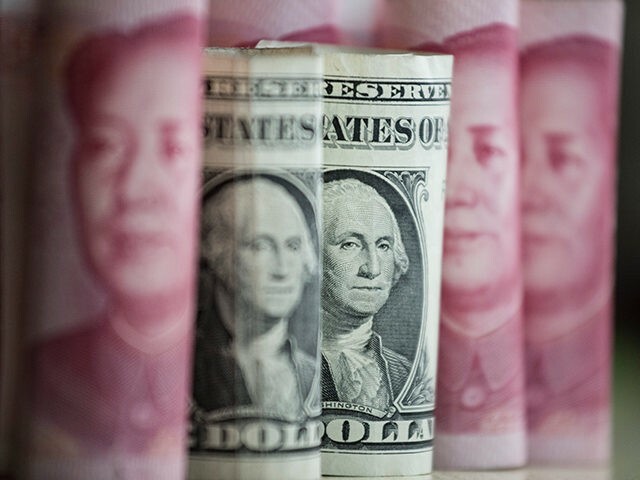 Pakistan’s central bank has adopted a Chinese proposal to use the yuan currency for bilateral trade and investment transactions, replacing the U.S. dollar amid Islamabad’s ongoing feud with American President Donald Trump. The move comes amid the promotion of the estimated $55 billion China-Pakistan Economic Corridor (CPEC) projects, a component of Beijing’s ambitious multi-trillion dollar One Road One Belt (OBOR) effort, also known as the Belt and Road Initiative (BRI). China came out in defense of its ally Pakistan after President Trump blasted the Muslim-majority country for refusing to combat jihadist groups who are killing and injuring American troops and their partners in neighboring Afghanistan. President Trump has decided to deny Pakistan $255 million in U.S. military aid over Islamabad’s reluctance to take action against terrorist groups in the region. Pakistan’s government denies harboring jihadist groups. Last month, Pakistan’s Minister for Planning and Development Ahsan Iqbal indicated that Islamabad was considering Beijing’s proposal to use the yuan instead of the American dollar for trade transactions between China and Pakistan. In Pakistan, yuan is an approved currency for denominating foreign currency transactions. The SBP has already put in place the required regulatory framework which facilitates the use of yuan in trade and investment transactions such as opening of letter of credits (LCs) and availing of financing facilities in yuan, the report said. In terms of regulations in Pakistan, yuan is on par with other international currencies such as dollar, euro and Japanese yen. There is a significant trade deficit between China and Pakistan that benefits Beijing. While Pakistan exported $1.62 billion-worth of goods and services last year, imports from China reached $10.57 billion, notes PTI. China has reportedly been promoting the use of the yuan in Pakistan for bilateral trade and investment for years. Although China is facing a growing Islamic terrorism threat from neighboring Pakistan, it continues to provide economic and military aid to Islamabad. China shares a border with Pakistan-occupied Kashmir, a region claimed by Beijing, Islamabad, and New Delhi.